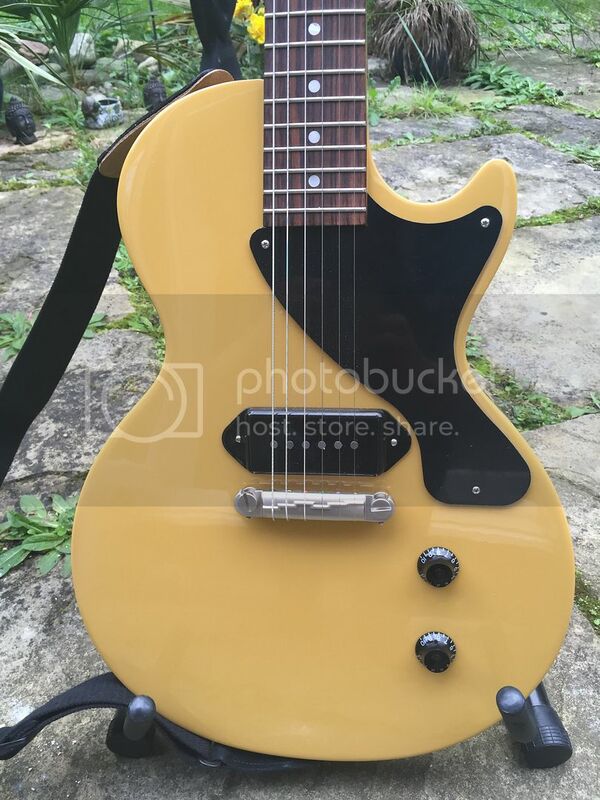 Recently bought a 2015 Les Paul JUNIOR (edited, not a Special). Really impressed with the auto-tune. Getting a lot of bad press from 'traditionalists', but works for me! Also rather like the slightly wider fretboard. Damm nice guitar as well. Set excellent from the box. Guess a lot of it is luck of the draw with them as to how well the nut's been cut and intonation set up originally as to how it'll perform. A mate of mine's looking at one of the newer SG's mainly so he can qickly switch tunings live. Usually just hear stories about how they unbalance the neck, how's it feel to you on the lighter specials? I don't have one myself but i've heard a few stories from gigging guitar players that were let down by the gizmo and made to look the fool on stage. Grain of salt taken of course with anything on the net. You can buy the Gforce separate and install it to a guitar if you don't want to pay new guitar prices. A store was blowing out 2013 NOS Gibson 50's tribute SG's for $199 Canadian. For that money you can mod to your hearts delight. Congrats on your 2015 Special. Sounds like you are really enjoying it. "It seems the higher-ups at Gibson USA have finally heard the outcry of the guitar playing public over the 2015 model line-up. According to information recently made available, the classic American builder detailed a general lowering of prices for the 2016 models as well as an abandonment of 2015 design changes including the controversial G-Force automatic tuning systems. The price points on the 2016 models will be roughly 20-25% lower than 2015, and comparable to the 2014 catalog. The Les Paul Standard is reported to carry a new price of $2799 while a new SG Standard will list for $1199. In addition to the price reduction, Gibson is set to ditch such 2015 design updates as the Zero nut, Les Paul commemorative headstock inlay and the installation of automatic tuning machines on every guitar. The available models will be similar to that of 2012 including the reintroduction Faded finish guitars, the Explorer and Flying V Pro. It's difficult to say whether this sudden reversal of Gibson evolution will spark a new epoch for the Nashville firm, or if the players who have moved on will stay moved on. For now, we'll be keeping a close eye on how this turn of events will affect prices on used Gibsons here on Reverb." 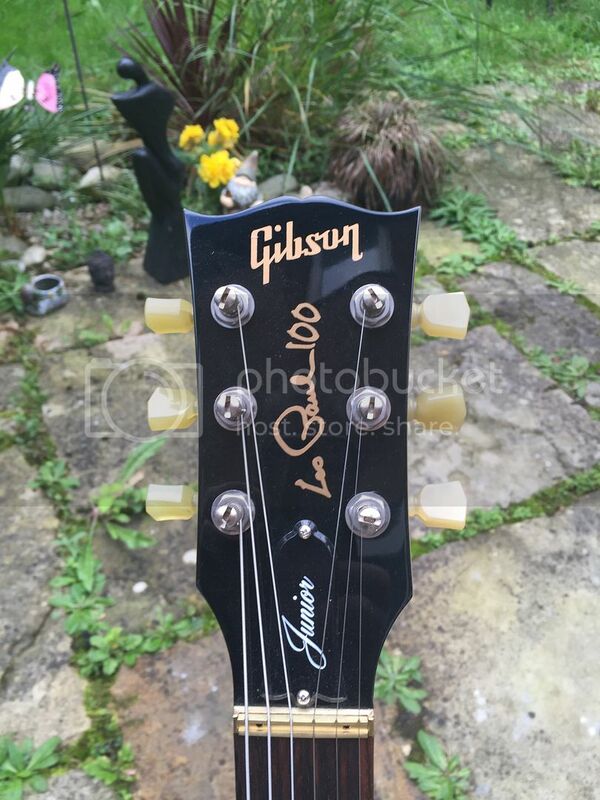 The Les Paul commemorative headstock inlay was only intended for 2015 models. I think Les Pauls were not highly rated for many years and neither were SG's. In years to come the 2015's will be worshipped! How bout a pic of your Special Bob ?? I've always wanted a Special, never quite found one at the right time/right price. If i can work out how to load up a piccy i gladly will! Very nice TV yellow. But what makes it a "Special" ?? 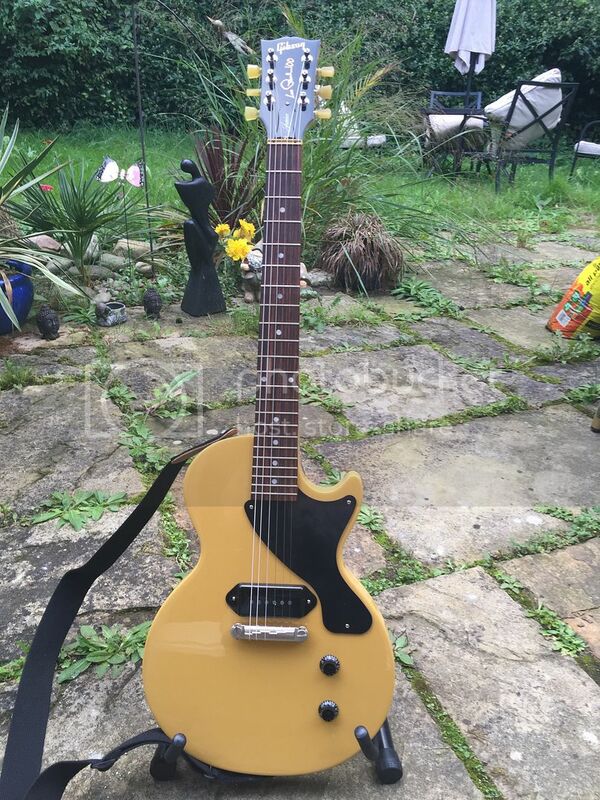 I'm no expert on Gibson but it just looks to be a really nice Les Paul Jr Single Cut to me. and thanks for the pics !! Ahhhh, I WAS going to buy a Special, but chose this instead. It a LPJ, NOT a special. 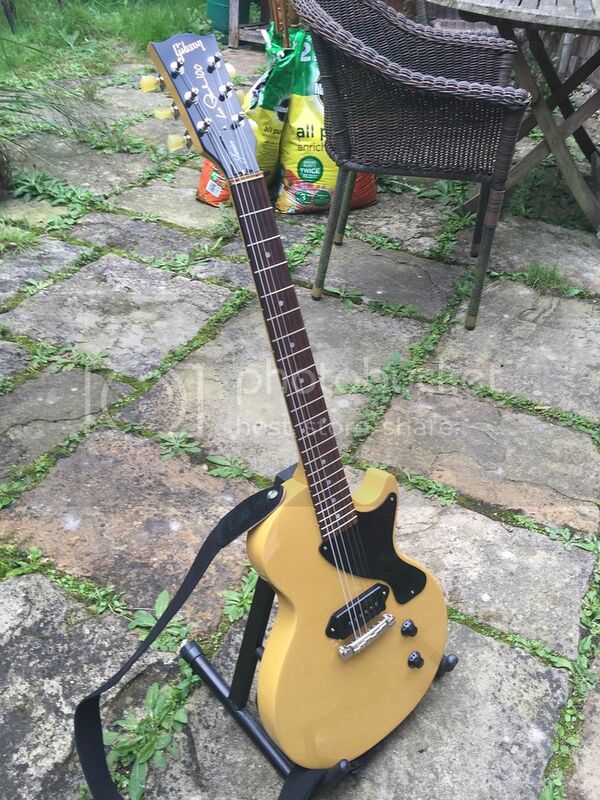 I've a yellow Orville By Gibson DC Junior, got to be one of my favourite guitars , just love the simplicity of the juniors and one P90 two knobs is more than enough.